Love the look of blonde but not too thrilled about the upkeep? chances are, blonde lace front wig with dark roots is perfect for you. In a way, it’s the poor man’s blonde-the roots are already significantly darkened. So you do not have to worry about regrowth as often, thus saving your added expense. A darker top and lighter bottom will add sheen and shine to your hair that will leave you feeling gorgeous. 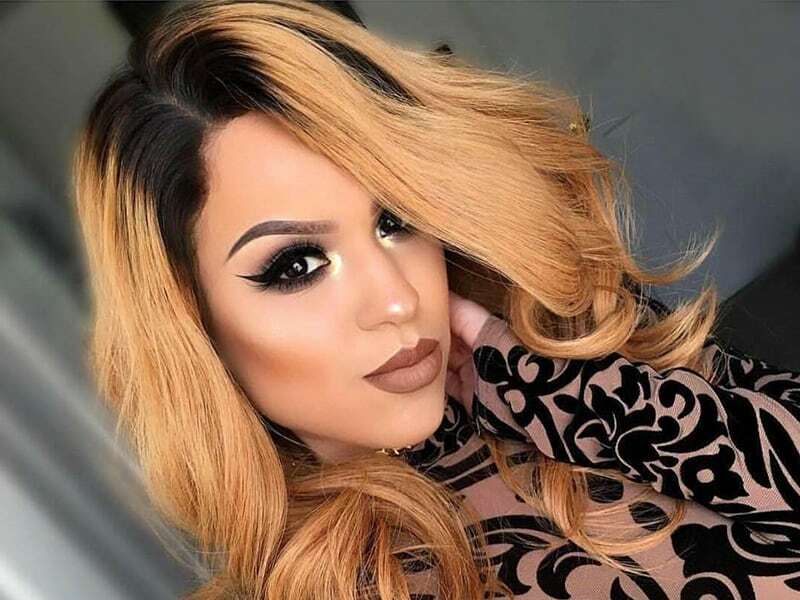 Layla Hair is one of the most professional blonde lace front wig with dark roots human hair suppliers that suit your demands and best price. 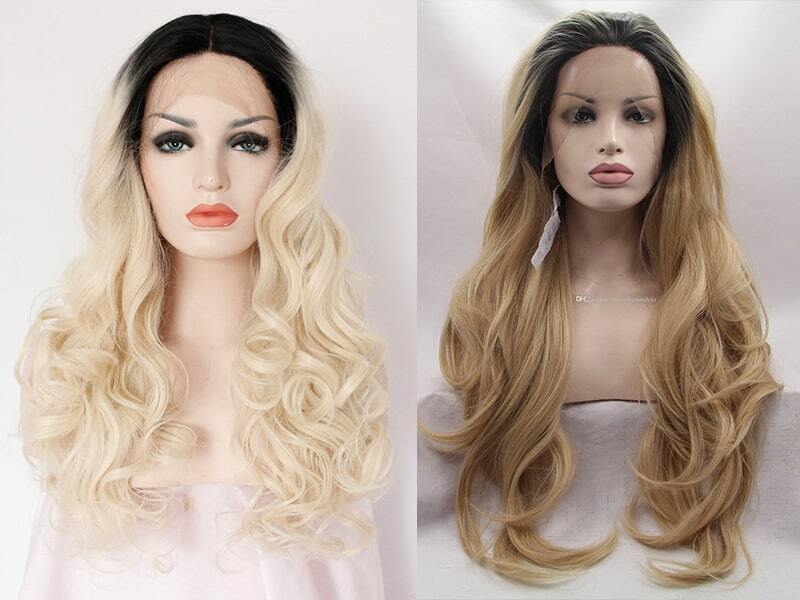 We sure that blonde lace front wigs will make your hair look vibrant and natural. What is blonde lace front wig with dark roots look like? First of all, you can see the hairstyle dark roots on very light blonde hair (think polar blonde) can be a very bold look. However, if the blonde shade is more golden – or almost light brown – visible roots are not as shocking. And it tends to blend into the overall hair color very well. During the grunge era, dark visible roots on the blonde hair were very in. They usually measured anywhere between 1 and 3 centimeters. The blonde lace front wig with dark roots human hair from Layla hair will make you so hot. In addition, today ombre and sombre hair is a modern way to show off your roots. And the stark contrast between the top of your head. With the bottom is considered fashionable. Dark visible roots aren’t everyone’s cup of tea. But, the fact that they’re currently stylish is making it a whole lot easier for people to embrace. Those in-between periods when they have to wait to get their hair recolored. How to style blonde lace front wig dark roots? Dark roots, blonde hair? Why not! Dark roots used to be a blonde’s worst nightmare. But in recent years a dark, smudgy root has become a blonde hair color trend. The flattering look relies on proper root blending and hair toning, which should always be left up to your professional stylist. In addition, the looks are super low maintenance since your natural hair color grows in nicely. Without any harsh lines. If you’re thinking about going blonde (or blonder), take a look blonde lace front wig with dark roots. Moreover, to help beige blonde hair and dark roots look good together, ask your stylist about using a sombe technique. Think of sombre hair as the subtler sister of ombré. It literally means soft ombre. So, it pairs a dark brunette hair color at the roots with a lighter color from the mid-shaft to the ends for a subtler look. The blonde lace front wig with dark roots human hair from Layla hair. Especially, blonde lace front wig with dark roots virgin hair extensions are the bestseller item which almost customers satisfied with. Layla collects the hair from only one donor so that all hair strands stay aligned in the natural direction as it grew. Therefore, the hair can maintain the natural texture pattern and cuticle direction. It is difficult to shed or tangle. The users will find it comfortable and convenient to wear. Furthermore, our blonde lace front wig with dark roots human hair are as thick at the ends as it is at the top. The shorter lengths are removed from the bundle before the extensions are made. Layla company has a lot of types of blonde hair for sale such as blonde lace front wig short, blonde lace front wig with bangs, straight blonde lace front wig and so on. A short blonde hairstyle is the perfect fresh new look for the spring and summer months. If you’re looking for something that’s simple and pretty, a blonde lace front wig short so cute easy hairstyles are just what you need! And if you’re considering short haircuts for the first time, you can certainly find your next style in Layla Hair. You know, the long layered haircuts with bangs will be able to bring out the delicate features of your face for all women. Shorter length layers can give a feel of volume to your final hair look. 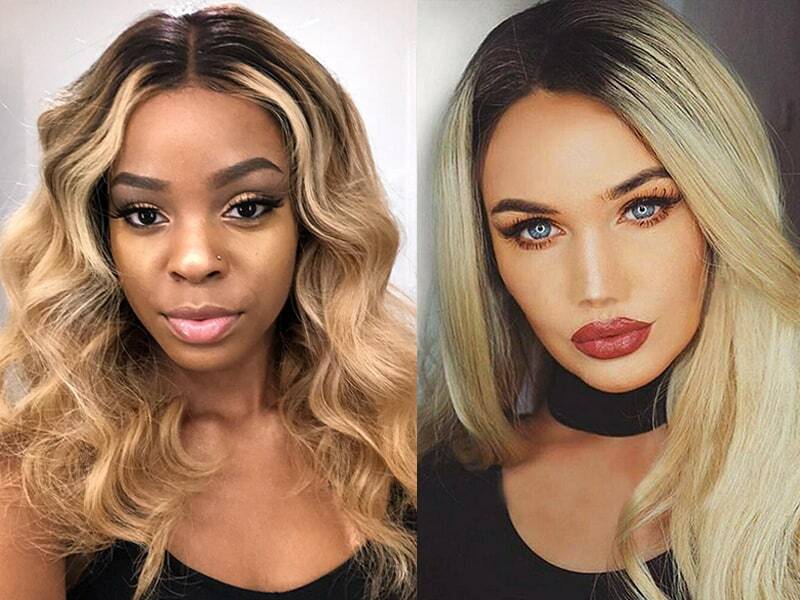 A long blonde lace front wigs with bangs can also help to balance out a long face shape for an overall softening effect when placed on both sides. Moreover, you can also cute your front hair into soft bangs that create a fresh and sweet effect for your long layered haircut. Long straight blond lace front wig human hair is absolutely gorgeous when it’s sleek and healthy. 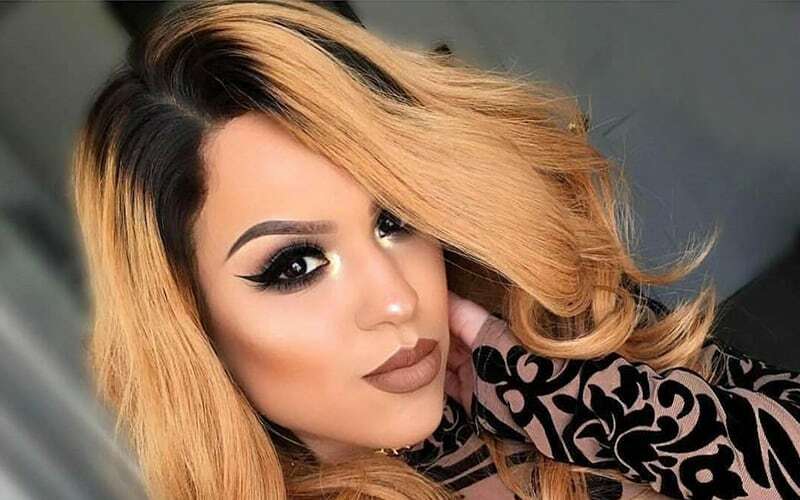 Take your long, straight blonde lace front wig to the next level by adding sweet layers, side bangs, subtle texture, or pull it back into a stunning updo. Adding even just a slight change to your straight blonde locks has the ability to take it from every day to intriguing! Let’s change our look and be more gorgeous by having blonde lace front wig with dark roots! So, go to Laylahair.com to get your own fantastic blonde lace front wig with dark roots or any other products in our huge collection. For more information of Blonde virgin hair extensions– 8 to 30 Inches blonde Remy hair.